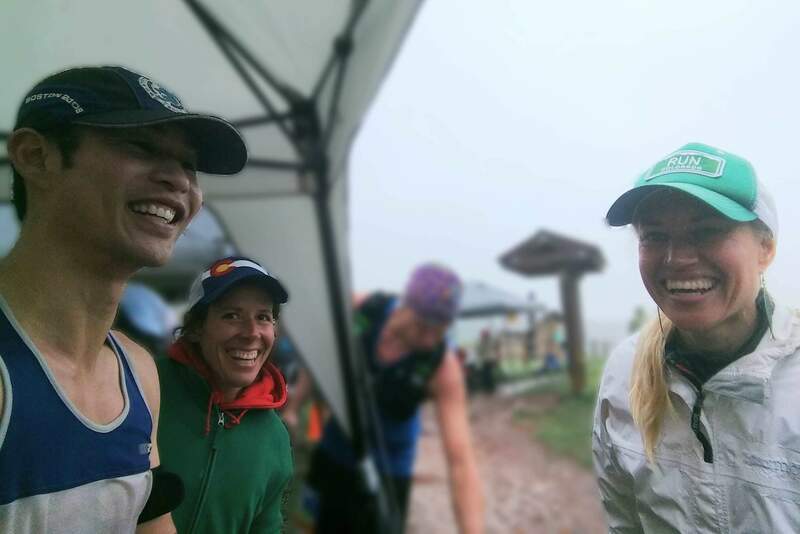 I started entertaining the thought of Quad Rock only a few days before the race when my friend Mel at my weekly French conversation group was telling me that she was going to be volunteering there. It was only an hour earlier, you see, that I had the sudden realization that my weekends were no longer going to be consumed by papers or exams because I had just submitted the final assessment for my second master’s degree (in Management and Leadership). So it was in the afterglow of that achievement that I found my finger hovering over the “Register Now!” button, knowing that I was now free to do my first epic adventure since returning from the Camino de Santiago in Spain last October. I didn’t have to answer the question as another francophone arrived and the conversation immediately shifted to a different topic. But on the short bike ride home afterward, I kept thinking, pourquoi pas? Well, I suppose there was the little matter that the longest run I did in the last 10 weeks was 7.5 miles. Also, registration apparently had already closed. Ultimately, I cast aside bon sens thinking this would be an excellent opportunity to determine how far I could run on less training than adolescents get in elementary school P.E. So I shot over the following email to the race director, my buddy Nick. 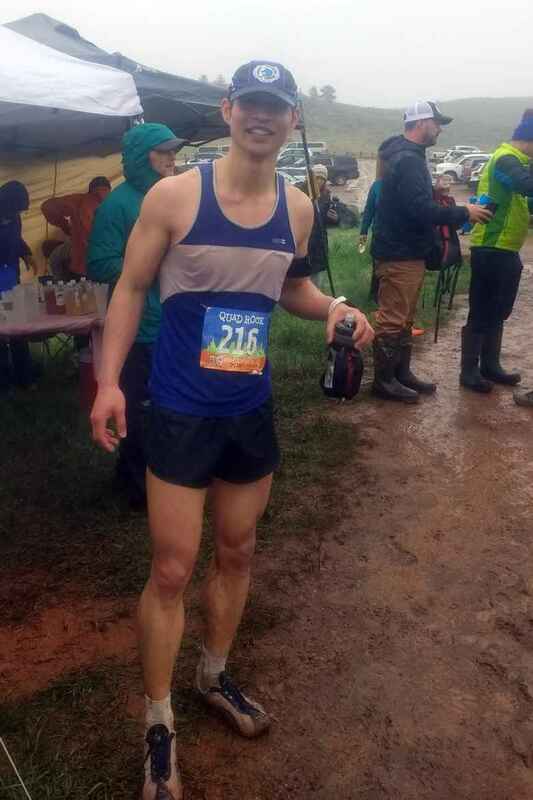 Hey bud, this is kind of crazy, but I all of sudden really want to give Quad Rock 50 a shot on zero preparation and no ultra-marathon experience since 2010. But I just noticed registration already closed? Any way you could let me in? Confessing zero preparation and no experience is usually not an effective way to convince a race director to let a tardy participant enter a race. But I knew Nick would be unfazed. “Classic Felix move,” he wrote back after allowing me to pay the equivalent of a Benjamin Franklin and a Ulysses S. Grant online. Technically, I hadn’t done exactly zero preparation. This year I have been running a whopping three or so miles every other day, usually at a pretty decent clip. Also, at the beginning of March, I ran 16.4 delightful miles through Lory and Horsetooth Mountain Park with Amber and Jennifer. But I had done no hill training since, unless you count carrying a cute kitten up the stairs at home on occasion. Between The Decision and day of the race, I did a 4.2-mile run and a 2.9-mile jog for good measure. I also walked through the candy aisle of King Soopers to buy some gummy bears. Then I deemed myself ready. It didn’t occur to me that 50 miles in one day would significantly exceed the 40 miles I was averaging per month thus far in 2018! It was about an hour into the race when I started to think that slathering on sunscreen earlier in the morning was being way too optmistic. The constant mist and showers that fell throughout the night only gave way to fog at higher elevations, and it turned out the sun would not make a cameo until a couple days later. “A little sloppy,” I muttered as another runner was briefly next to me as I slid backwards on the first of six monster 1,500-foot climbs. “The Tough Mudders would be jealous,” he quipped. For the next couple legs that would go up and down two 7,000-ft. peaks and past the Towers aid station, my friend Pete and I were constantly leapfrogging each other. I stuck to the strategy of hiking any upward section steeper than a slight gradient, while jogging all the flats and downhill sections. Another part of the plan was to Not Take a Fall. 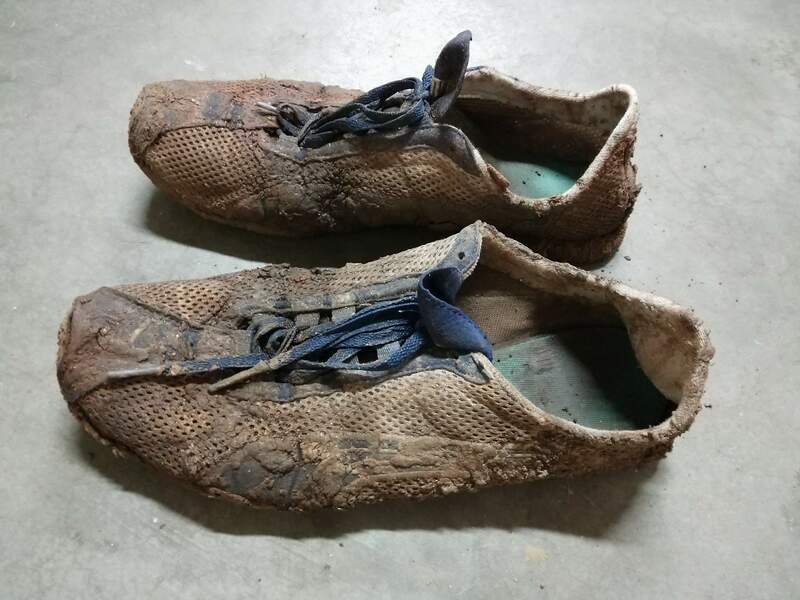 Fortunately, as muddy as the trails were, there were not many sections that had roots and rocks that could catch a shoe and cause an awkward faceplant. I managed to stay upright for 100% of the race, although there were a few times when the mud was so sticky it ripped a shoe off my foot. The highlight of the day came at the west Arthur’s Trailhead station (Mile 17.5), where I encountered the same ladies whom I did my longest run of the year with. Jennifer was staffing a peanut butter sandwich table. I found Amber’s long blond hair while she rummaged through some plastic bins, her back towards me. Eventually she turned around so we could lock eyes and give each other a hug. I was actually feeling surprisingly good considering I had already exceeded the distance of our long run that day in early March. So I took off again after only a few minutes, but only after leaving my decade-old fuel belt because it was so old and stretched out that it was unable to stay put on my hips. Ditching it altogether was much preferable to having to constantly hold it in place with one hand while running downhill. We also took a few selfies, including the one below. The next section up and down the Timber Trail was pleasant and gave me the first glimpse of the speedier people beginning their second loop of the course. In contrast, the flat singletrack heading into Soldier’s Canyon—the start/finish, or in this case, the halfway point—was a literal quagmire. The surface was more suited for a mudslide than a footrace, and it made me feel more like a newbie ice skater than runner. Eventually, I made it to the turnaround area just under six hours into the race. I was very pleased with that; in fact, it was exactly what I planned. 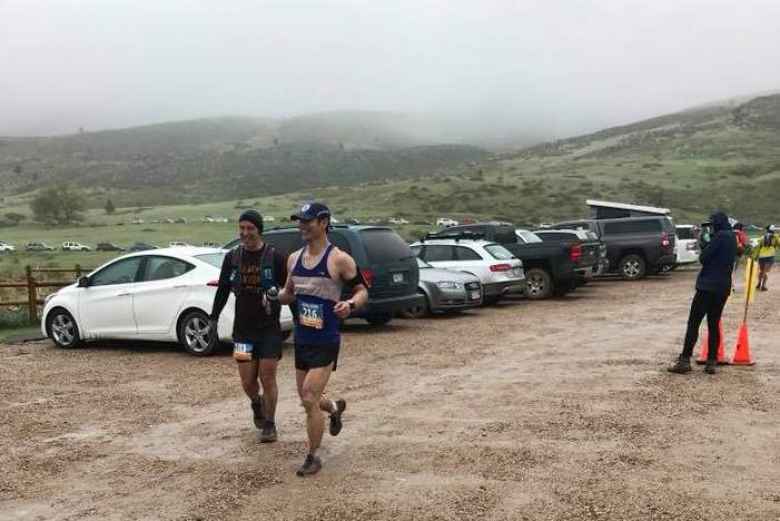 As the time limit was 14 hours, I felt that if I had eight hours to do the second half, I had a real shot of finishing the race even with an inevitable slowdown because it entailed a mere 19-minute/mile average, a pace nearly achievable through hiking. Mel—whom I’d credit for giving me the idea of doing this race in the first place—was noting bib number arrivals on a tablet when I came scampering in. It was great to see her. I then heard my name and it was my friend Tavia; apparently her husband Kirby was running in the race. In fact, Kirby and I would leave the area together and ran within sighting distance of each other for about three miles, until he stopped to take off his pants. As typical of the race course, there was another long climb followed by a long descent, but I got back to the west Arthur’s Traihead aid station (Mile 32.5) feeling remarkably good. Jennifer was still there and I was totally pumped that my legs were still fully functional at this point in the race. She said I was looking strong. I thanked her for being there and then promptly took off, being cognizant that there were still 17.5 miles to go with plenty of opportunities for the leg muscles to transform into vise grips, seizing at the wrong moment and turning the rest of the race into a virtual death march. I arrived at the Towers aid station (Mile 35.7) feeling less robust, and I must have been drinking too much VFuel because for the next 10 miles I kept having to make friends with thirsty trees. A nice benefit was I needed to drink less and was able to blaze through the remaining aid stations as I didn’t need to top off my handheld water bottle. The final climb back up to the Towers aid station was a trudge and several miles took 20 minutes to complete, but I was never going so slowly as to cause any concern about making the time cutoff. After I reached the summit at Mile 44, the rest of the race was almost anticlimatic as it was all downhill or flat. Never mind that much of the trail was once again a quagmire that I skied through on my racing flats. I passed by the east Arthur’s Trailhead aid station (Mile 47.8) with Horse Barn Syndrome and trotted the rest of the way until the final 200 meters, in which I had enough energy to do a vigorous sprint. Finished just before 7:00 PM, with over half an hour to spare. Success! My legs were definitely feeling a little dead, but my spirit rarely felt more alive. I devoured a bratwurst and a burger after talking with my friend/neighbor Crisann, and then found Nick to thank him for allowing me to enter the race at the last minute. “Congratulations,” he said, noticing I was holding a finisher’s mug. He then confessed that he had his doubts that I’d get the job done. He, of all people, was most keenly aware of how tough the course was and exactly how high the dropout rate of the 50 miler is. Happily, then, the “classic Felix move” was a successful one today. Are you going to retire your pumas? Felix, incredibly awesome & terribly nuts! Super impressive, Congratulations! You’ve inspired me to tackle some of these ultras – but with training! And how long have you had those Puma’s? It seems as if they’re as old as your Cannondale! I’ve been using the same model since 2006. However, they were discontinued in 2012. Fortunately, I stocked up and have one unused pair. The current pair I am using (the one I used in the 50-miler) now has exactly 300 miles on it (good for another 500-700 miles). Since I only use the shoes for racing now, I figure they will last me for another decade. Hopefully Puma will bring back the shoe sometime before then! Felix – inspiring read! I am sure your underlying core fitness helped! I have an upcoming 100 mile bike ride (Gran Fondo New York) on Sunday and have done some training but its a big leap from where I am to where I need to get to. This post has given me more motivation!! Hi Jim, best of luck at the Gran Fondo NY on Sunday! I’m excited for you! “Whopping three miles every other day” sounds like my regular training program. Good job! I knew this story would have a successful and happy ending! Thanks bud. I guess I am back to the Adam Training Plan again until after June. Wow Felix! This is bonkers. You did a great job and this was a really entertaining and interesting read, Thanks! Thanks for your comment and for stopping by my blog Sarah!